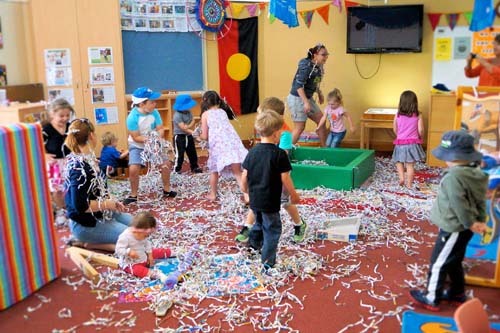 Bathurst Family Day Care hosts playgroups for Educators and children currently registered with the Service each Wednesday during School terms. The playgroups are a wonderful opportunity for children and Educators to come together socially and participate in a variety of fun experiences. The playgroup is facilitated by the services Educational Leader. The playgroup seeks to foster relationships between staff, children and educators in an engaging learning environment.